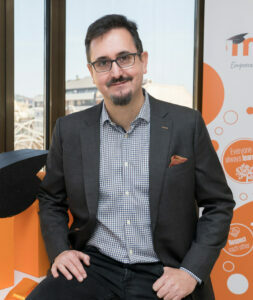 Dr Martin Dougiamas is best known as the founder of the open-source Moodle LMS (used by over 60% of all higher education in the world). He is now the CEO of the Moodle project, which produces Moodle Apps, MoodleCloud, Moodle Educator Certifications, Moodle Workplace and more. Martin has a mixed academic background with multiple post-graduate degrees in Computer Science and Education and two honorary doctorates (from Spain and Belgium). He continues to focus on researching how technology can support teaching and learning in open and human ways, especially when it supports the UN’s sustainable development goals.